Offers the titles exclusively digital of CMVocento. 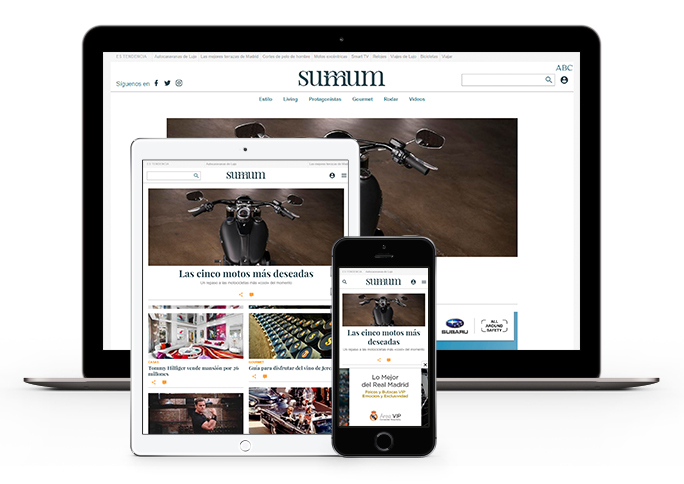 SUMMUM, the luxury and lifestyle of ABC, aimed to a male profile with high acquisitive power and interested in the latest tendencies and fashion. We help you to reach your target. The website of ABC about cinema, series and TV.